On February 7th, 1962 President John F. Kennedy laid the groundwork for the infamous economic embargo on Cuba. As a result of the Cuban government nationalizing some U.S. companies and becoming buddies with the former Soviet Union, President Kennedy slapped trade sanctions on Cuba prohibiting the importation of any Cuban goods. 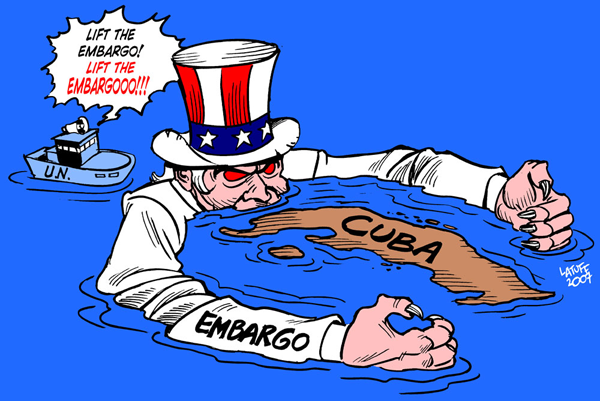 The following year, 1963, the embargo was tightened to include penalties that prohibited foreign companies that traded with Cuba to also trade with the United States. The ban on travel for U.S. citizens was also implemented that year. While a whole lot has changed since 1962, the embargo on Cuba remains the same. 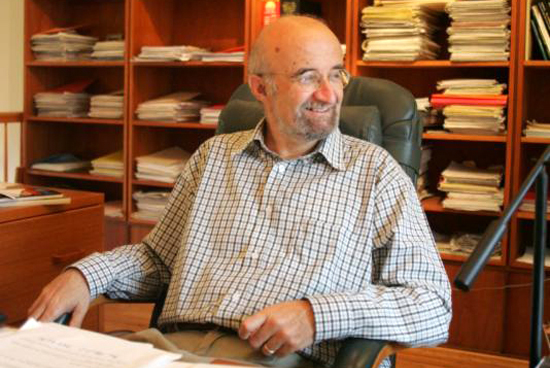 Piero Gleijeses is a professor of US foreign policy at the Johns Hopkins School of Advanced International Studies. His most recent book is Visions of Freedom: Havana, Washington, Pretoria and the Struggle for Southern Africa, 1976-1991, Chapel Hill, 2013. His other books include The Cuban Drumbeat: Castro's Worldview, Seagull Books, 2009; Conflicting Missions: Havana, Washington and Africa, 1959-1976. Chapel Hill, 2002; Shattered Hope: The Guatemalan Revolution and the United States, 1944-1954, Princeton, 1992; The Dominican Crisis: The 1965 Constitutionalist Revolt and American Intervention. Baltimore, 1978 (revised edition: La esperanza desgarrada: la rebelión dominicana de 1965 y la invasión norteamericana, Dominican Republic, 2012). I will not address the juridical flaws of the case against the Cuban Five. These flaws are well known and others have written you about them. The Five were tried in a kangaroo court and received very heavy sentences because of the crimes of Fidel Castro. 15 years, 5 months and 15 days of an unjust imprisonment imposed after a U.S. government political prosecution. Each day has been a cruel punishment for Fernando and his Cuban Five brothers, who courageously sacrificed their well-being to defend their homeland and people of Cuba from the scourge of terrorism that emanates from Miami, with the full knowledge and protection of Washington. But Fernando will not simply walk out of Safford on Feb. 27. As one of his appeals attorney Richard Klugh explains, since Fernando is not a U.S. citizen, he will be detained temporarily by Immigration authorities. 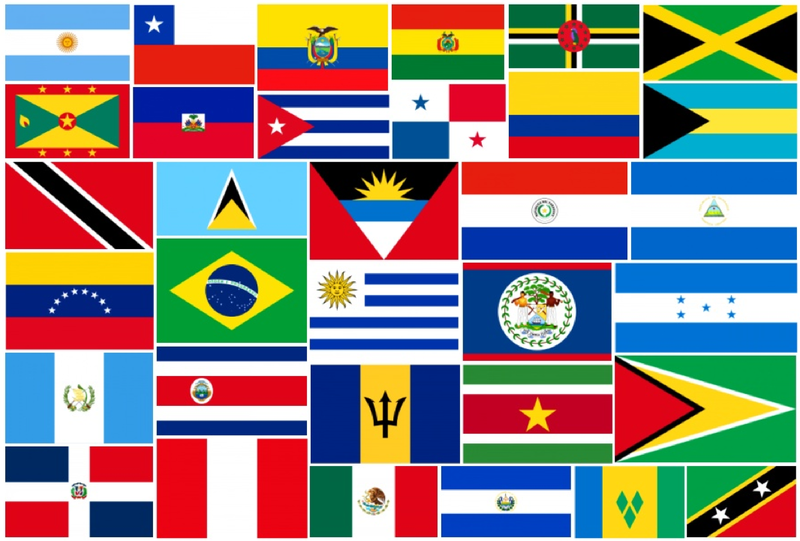 On 28-29th January 2014, Havana hosts the Second Summit of the Community of Latin American and Caribbean States (CELAC in Spanish), with the participation of the heads of states, chancellors and other representatives of all 33 independent nations in the region. The Summit rounds off Cuba’s one-year presidency of CELAC, which focussed on combating regional poverty, hunger and inequality. Cuba is part of CELAC’s three member troika, along with Chile, which held the presidency in 2012 and Costa Rica which takes over in 2014. Over 30 documents are being drawn up for discussion and analysis, including a Plan of Action, and standards and principles which will govern cooperation. The Summit was preceded by two days of discussions by national experts on 25-26 January and a meeting of chancellors on 27 January. The Summit is expected to emit specific statements, for example, demanding that Britain return Las Islas Malvinas (the Falkland Islands) to Argentina and that the US blockade of Cuba be lifted. BRUSSELS, Belgium – After years of debate, the European Union is in the final stages of eliminating an existing agreement concerning Cuba and establishing a bilateral agreement with the island nation on several issues. On 20 January, the 55th anniversary of the Cuban Revolution was celebrated at a cultural and political event in the Venezuelan Embassy’s Bolivar Hall. The event was attended by diplomats from the Cuban Embassy and the embassies of other countries which are members of ALBA – the Bolivarian Alliance for the Americas. Also present were British trade unión leaders and ex - miners, members of solidarity organisations in solidarity with Cuba and Cubans living in Britain. Netfa Freeman is a longtime activist/organizer who has worked on Cuba solidarity issues for several years. A frequent traveler to Cuba, Netfa talks about his visit last November in support of the Cuban 5. Gregory Elich: You've recently returned from Cuba, where you attended the Ninth International Colloquium to Free the Cuban 5. In 1998, five Cubans who were monitoring the activities of U.S.-based anti-Cuba terrorist groups were arrested by the FBI and imprisoned on charges of espionage. What can you tell us about the current status of the Cuban 5? Netfa Freeman: Well, all five were arrested in September of 1998. As far as their current status, I suppose the first thing people should know is that one of them, René González, was released from the Federal Correctional Institution in Marianna, Florida on October 7, 2011, after serving his entire 13-year sentence. 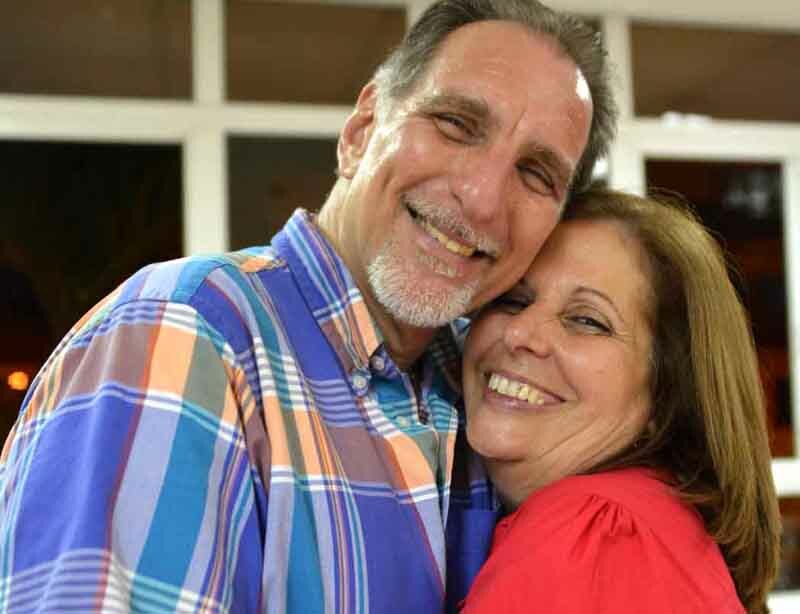 On April 22, 2013 René returned to Cuba for his father's funeral and on May 11, Judge Lenard allowed him to stay there provided that he would renounce his United States citizenship. 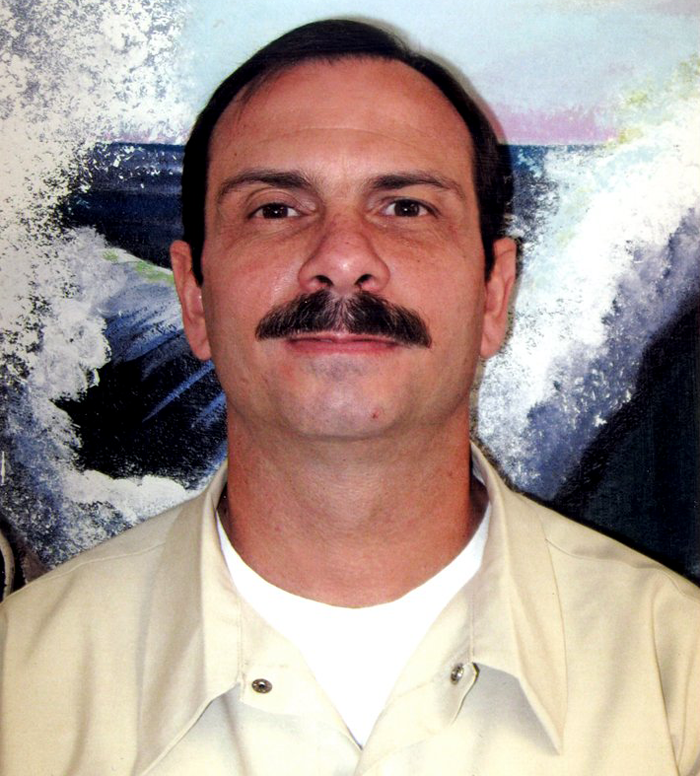 Soon to be released from the Fed pen in Safford, Arizona is FernandoGonzalez, in February. This will also be because Fernando's sentence will have been served. This is an anti-communist diatribe, without a single fact but full of distortions and outrights lies. Not even Amnesty International claims that Cuba’s prisoners are tortured – or in any other way abused. In fact, the only place where there is torture in Cuba is in the US base on illegally occupied Cuban territory at Guantanamo. 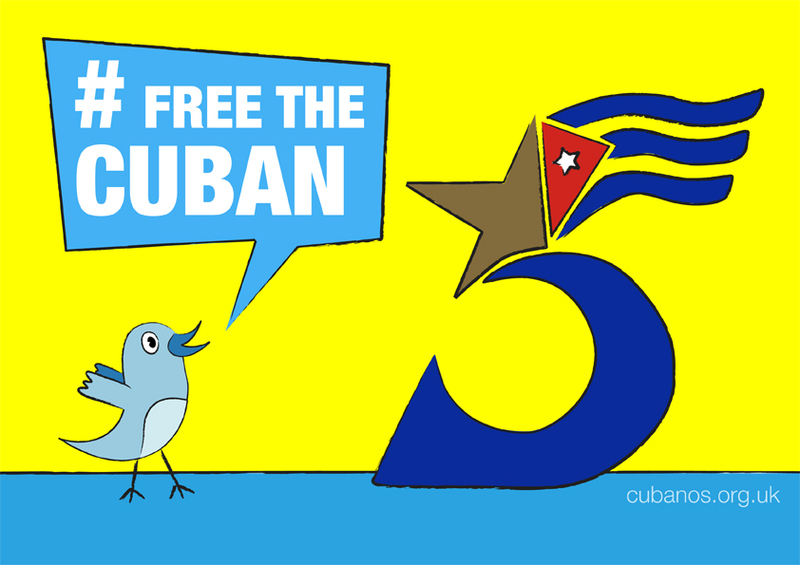 Let's start 2014 with simultaneous Tweets for the Cuban 5! Or call the White House to join the worldwide demand for their freedom.